Footage of the Chester Trolley in action. Unlike the surrounding towns of Auburn, Candia, Raymond, and Sandown, no steam driven railroad was ever built into Chester. 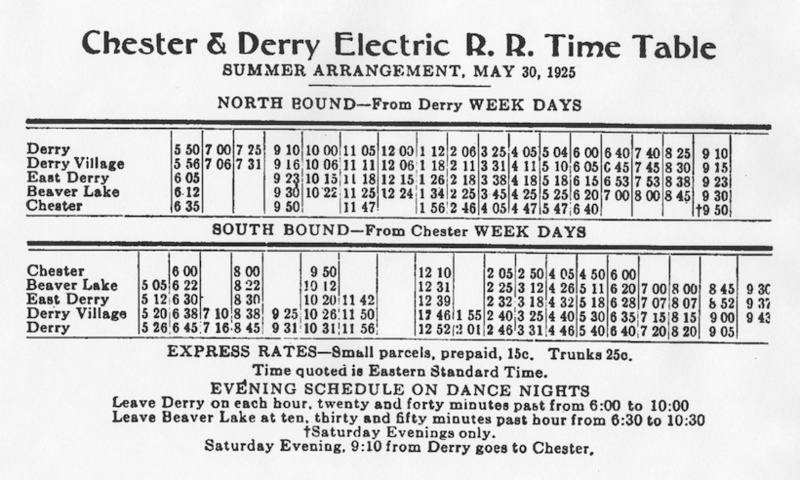 It did, however, have an electric railroad, the Chester & Derry Electric Railroad, a line that ran from Chester Center, to East Derry Village, then into Derry, near the Derry Depot. 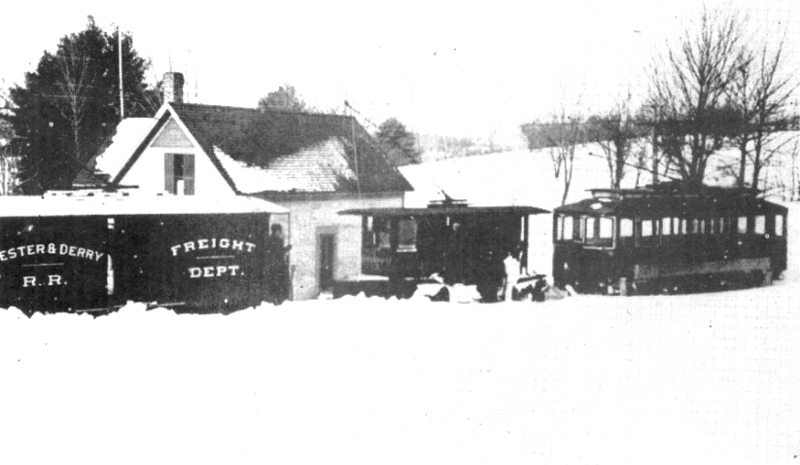 The Trolley, as it was called, ran passengers and freight from 1896 to 1928, a time when Chester’s population had declined to its lowest level (653 residents). 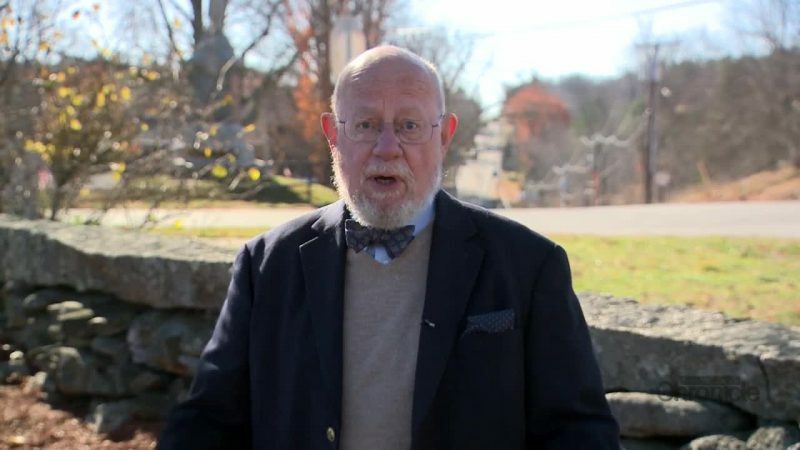 The cause was the same as for scores of other small New England communities, lack of industry, which forced people away from the farms to better employment opportunities in cities such as Manchester and Nashua. 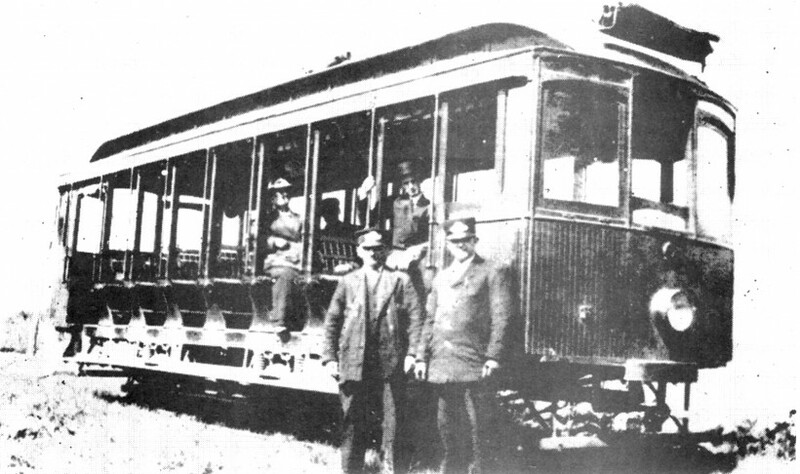 This and development of the automobile which brought improved roads saw the demise of the Trolley. In 1924, electric streetlights were installed one mile on each road emanating from Chester Center, thus beginning the electrification of the Town. Within a few years, the main streets were paved, as you see today, with only a few of the lesser traveled roads still gravel.